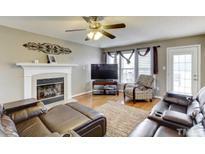 Below you can view all the homes for sale in the Riverwood Golf Club subdivision located in Clayton North Carolina. 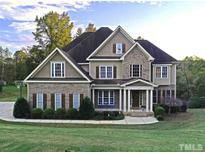 Listings in Riverwood Golf Club are updated daily from data we receive from the Raleigh multiple listing service. To learn more about any of these homes or to receive custom notifications when a new property is listed for sale in Riverwood Golf Club, give us a call at 919-759-5792. For the golf enthusiast, the course is directly across the street and beautifully maintained! MLS#2241750. 4410. This Distinctive Property Offers Lush Landscaping, Generous Closet Space, a HUGE Walk-in Pantry, Private Master Suite, Butler's Pantry, & Your Own Private Home Theater Room! MLS#2239512. 987. HOA includes Pool, Fit club &golf MLS#2220767. 1128.